Terry Waite was born in Cheshire, England, on May 31 1939. He studied Theology and Social Sciences in London and the United States. Although he has worked from a Church base for much of his life, he is a layman. He moved to East Africa in 1969. In Uganda he worked as Provincial Training Advisor to the first Anglican Archbishop of Uganda, Rwanda and Burundi and travelled extensively throughout East Africa. With his wife Frances and their four children he witnessed the Amin coup in Uganda and both he and his wife narrowly escaped death on several occasions. In 1972 worked as an International Consultant to a Roman Catholic Medical Order and moved, with his family, to live in Rome. From Rome he travelled throughout Asia, Africa, North and South America and Europe conducting and advising on programmes concerned with Institutional Change and Development, Inter-Cultural Relations, Group and International Dynamics. In 1980 he was recruited by the Archbishop of Canterbury and moved to Lambeth Palace, where he joined the Archbishop’s private staff. He arranged and travelled with the Archbishop on the first ever visit of an Archbishop of Canterbury to China. In the early 1980s he successfully negotiated the release of several hostages from Iran, which brought him to public attention. While negotiating for the release of British hostages held in Libya in January 1987, he was captured and remained in captivity for 1,763 days, the first four years of which were spent in total solitary confinement. Following his release on November 19 1991, he was elected a Fellow Commoner at Trinity Hall, Cambridge, where he wrote his first book Taken on Trust which headed the best-seller lists in the UK and elsewhere. Following his experience as a captive he decided to make a career change and devote himself to writing, lecturing and humanitarian activities. 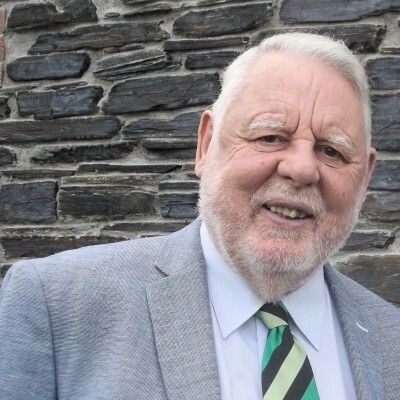 Terry Waite’s talk has specific reference to his fourth and fifth books: Out of the Silence, published in November 2016, and Solitude, published in November 2017. Other works are concerned with reflections and the effects of solitude and how creativity rises to meet the challenges of imprisonment. He was elected Visiting Fellow to Magdalen College, Oxford, for the Trinity Term 2006. He has had a special interest in penal affairs, especially penal reform, and has been a long-time member of the Butler Trust and is Chairman of the Prison Video Trust.